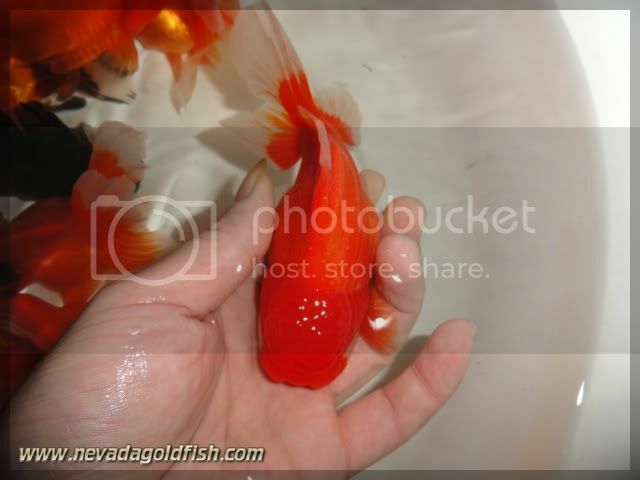 ORA031 is a Red Oranda. 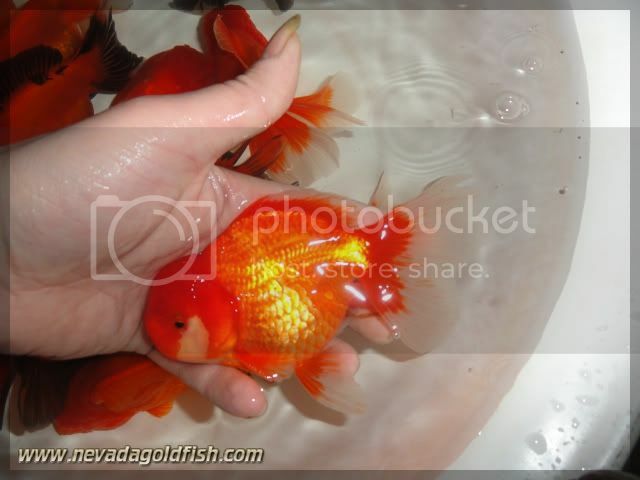 But he has a white spot in each side of his cheek. Very simetric! 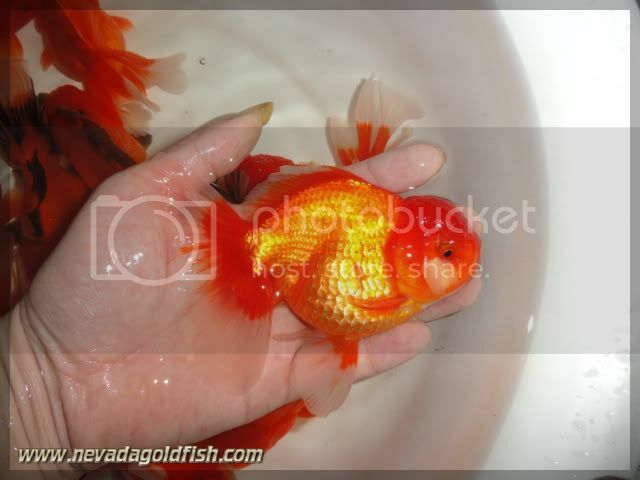 He is a good swimmer and very attractive Oranda goldfish.